At the advice of one of my readers, who suggested providing more insight into the how’s and why’s of our life, I thought I would take that advice and begin with a decision we often struggle with, every single morning. I want to take a few minutes and explain what goes into deciding whether or not we keep Emmett home from school. This may seem like a weird topic but I know many parents in my situation, likely struggle with the same thing. Emmett is our youngest of three with Autism, at eight years of age. He’s profoundly impacted by sensory processing disorder. He struggles with things coming into contact with his skin. Wearing clothes, shoes, socks or anything else can be very, very uncomfortable for him. In fact, it can be downright painful as well. Emmett also struggles greatly with eating. He’s so sensitive to things like color, taste, smell, presentation, shapes, texture, non-American food items touching and even changes in packaging, that it interferes with his food intake at almost every single meal. Getting ready for school is a struggle on most days. Emmett loves school, is well liked and is at the top of his class academically. In other words, he has no reason to want to stay home. I understand that he’s doing well in school, but why would the number of absences not impact him? I don’t know much about charter schools but I am wondering if they have a different set of criteria than public schools do when it comes to the number of days missed. Glad to see you making an effort to getting back to these kinds of posts. I think you recently mentioned feeling like you were in a rut with respect to your writing, and it does seem like you’ve been in this mode where you’re just rotely recounting the events of the day. Anyway, I think you’ve done a good job here’s summarizing what goes into your decision making with respect to this issue. I’ve said a lot already in previous comments about sensory processing issues and I won’t repeat that stuff. I’ll just say that you should be careful not to dismissively conclude that it doesn’t impact him one way or another if he misses school. Even if it doesn’t now (debatable since he’s missing, at the very least, valuable and desperately needed socialization time), what happens if/ when the time comes when his intelligence can’t make up for the numerous absences? How about this – maybe it happens at other times, but I can’t recall you talking about these sensory issues ever preventing you from going to a doctor’s appointment, a family event, or running errands. If not, what is it about getting ready for school? Is it the time of day? The element of time pressure? I just encourage you to keep looking for the aspects here that are not entirely sensory related. You’ve even suggested yourself that they exist- the fact that you’ve tried bribing- and it’s worked on occasion – indicates that there’s something more than just sensory issues going on. Maybe if you could figure out how to tap into that- the other things going on (environmental, psychological, etc. ), you might be able to make things a little bit easier for the poor little guy. Best of luck – I know this isn’t easy. We’re not talking extreme absences. These days account for maybe 8 or 10 days a school year. But that’s a day a month and doesn’t take into consideration that he also misses days when he’s sick. I’m still curious if there are different criteria when it comes to special needs or charter schools. I can only go based on what public schools do in my area, but they require doctor’s notes for that many absences, and I didn’t know if special needs schools waived that requirement since it would make sense that the kids in those schools might require more time off for doctors appointments or OT/PT. None of that is an issue here. This is a charter school full of kids with Autism and other special needs. Absences are a common occurrence for kids in this particular category. It’s not a problem and it never has. To follow up on Jimmy’s comment, does he ever miss OT because of the sock and shoe issues? I don’t know that he’s missed OT for that reason. He’s missed it for similar reasons, like not being able to wear clothes or something similar. 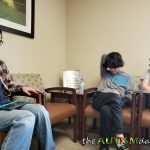 Typically, he tolerates what he has to in order to go because he gets the sensory input that he needs during these sessions. So then he is somewhat aware of it all. Maybe that shows that he is moving towards being able to tolerate shoes (or other clothing) because he has no other real choice. 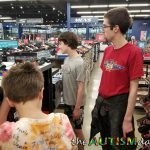 And a follow up to the absences issue- if the school is okay with the absences because of the sensory disorder, then would they be able to work with him on being able to wear flip flops? I understand that it might be a liability issue for them, but if you and Lizze were to sign a waiver, wouldn’t cold feet be preferable to not going at all? It’s not cold feet. It’s a safety issue cause of the need for them to walk up and down the stairs. All foot apparel needs to have a back. As far as working through it goes, it really depends on how he’s doing overall. OT is right after school and so if he’s in school, he’s already wearing shoes. There are many, many times that I have to carry him to the car after OT because he won’t put his shoes back on. Even the OT can’t get him through it. The school is a charter school for special needs kids and absences are very common for a multitude of reasons. Do we get more latitude because of Emmett’s situation, I don’t think so. 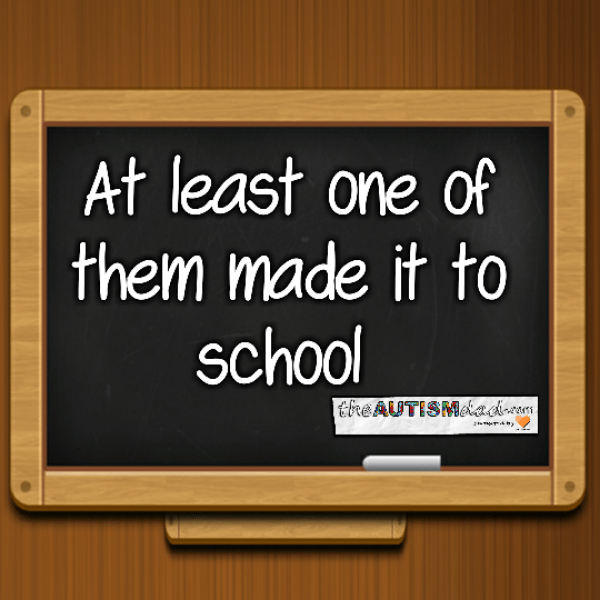 The expectations are different when the school caters to the child’s needs, plus Emmett excelled academically and is very good socially so the odd days he does not make it, aren’t impacting him in a negative way. If what you’re saying is accurate — that he can tolerate the sensory issues prior to going to OT because he gets the input he needs during the OT sessions — then why wouldn’t you see if he can take sensory breaks at school – take a walk with a weighted backpack, make a heavy “delivery” to another classroom, jumping jacks in the hallway, breathing exercises, etc.? 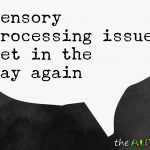 I’m sorry for repeating myself, and it’s just an opinion based solely upon the information you’ve provided – but it seems he needs a sensory diet – consistently implemented throughout each and every day — so that he gets the sensory input he needs. Some of this is trying to connect the dots. 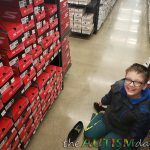 If he can tolerate socks and shoes in order to go to OT because sensory input is forthcoming, then replicate, the best you can, the sensory input that he gets at OT — and do that every day, multiple times a day. Talk to your OT about implementing a true sensory diet, and find creative ways, as I’ve suggested above, that he can get the sensory input he needs throughout the day at school. We’ve done sensory diets for years, especially with Gavin. When I said he’s usually okay to go to OT, that’s because I pick him up from school about an hour early and we go straight there. If he’s in school, he’s likely already doing okay with his shoes and socks. Does that make sense? Emmett’s sensory needs require things that aren’t really available in our house. He’s a crasher and basher. The things we’ve been able to do at home haven’t helped much. 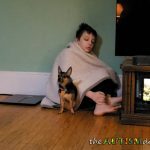 Commonsense things like brushing, weighted blankets, vests etc, are all things we have readily available at all times. He’s just one of those kids that really struggle with this stuff. I understand what you’re saying, particularly about “crashing and bashing”. Most homes aren’t set up for that! 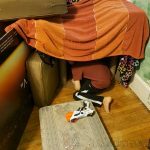 I would still try to talk to the OT about any possible strategies or ideas about replicating, the best you can, any activities that seem to work for him – or, come up with some alternate activities that might successfully provide the necessary sensory input. And what about school? Do they have anything available to him that might work during school hours? I think you might be under a slightly different impression of what a “sensory diet” is than I am. A true sensory diet is a structured personalized plan of sensory activities to be implemented throughout the day (and each day), designed to regulate behavior. That might be paraphrasing a little bit, but I know the term was coined by Wilbarger, the same OT known for the Wilbarger brushing method which I would guess you’re probably familiar with. I understand that you have weighted blankets, etc. “readily available at all times”, but that suggests that he only utilizes them in times of difficulty or struggle. I would ask your OT about implementing a true sensory diet. 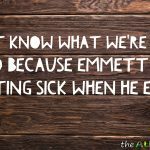 The point is that even at the times when Emmett is doing OK, he should still be receiving sensory input at regularly scheduled intervals. Not trying to get all academic about this, and maybe it seems I’m stating the obvious (or just stating stuff you’ve already tried, and if so, I apologize. 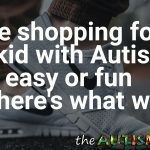 But your comments suggest that you know exactly the type of sensory input that works for him and allows him to tolerate socks and shoes, but that it’s a matter of having the mechanisms or physical space available to you to give him the sensory input he needs so his day, and life, can be more tolerable. 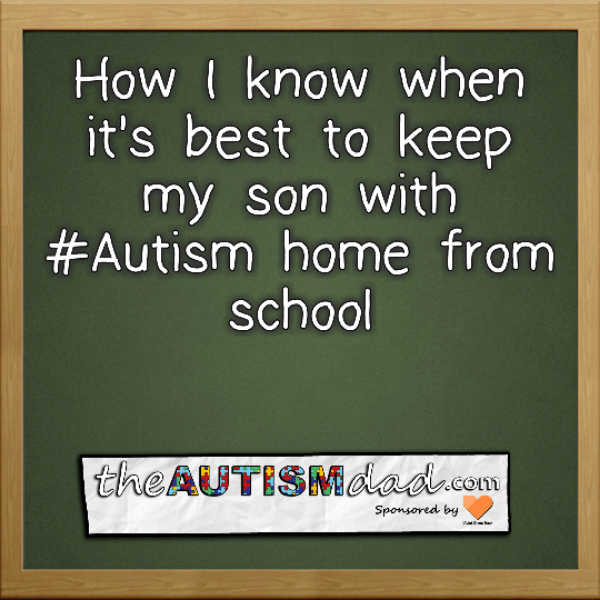 Hopefully you can come up with some creative ways to give him the sensory input that he needs throughout the day. I am in no way suggesting that there’s an easy solution out there. These are difficult issues that most people, if they don’t have personal experience with it, know very little about. Thanks for discussing them here. Jimmy, I’m aware of what a sensory diet is and I talk frequently with his OT about in home strategies. The problem is that everything with him is a moving target. Things that work great today, may never work again. In fact, we see that in OT all the time. My kids don’t do anything halfway and that makes it very difficult to navigate. I totally get where you’re coming from and in many cases, you’d be absolutely right. The issue we face is that we are constantly having to come up with new approaches in the moment because everything else doesn’t work. I would recommend your advice to most others because it’s sound. Again, the issue here is that what he needs is always in flux. There’s no way to stay ahead of the curve or formulate a a plan because that’s just not how he works. That’s a large part of the exhaustion for us as parents. What might work today to help with his shoes and socks, will not work tomorrow. I guess this is the part that causes the most trouble with people understanding because it’s not what most are used to see in this area. I’m sorry to hear Emmett is still struggling with these issues, and how it impacts his day-to-day life. I know it’s not easy for you, your wife, or the rest of the family. It’s good to hear that he has an OT and that the school is understanding. I was wondering if you/your family had ever gotten in-home services? Here in PA they call it wraparound or “BHRS” and usually there is a BSC (behavior specialist consultant) and “TSS” (therapeutic staff support) that will come to your home and work on mutually agreed upon goals, at times that suit your needs. It is free for folks on medical assistance/Medicaid. 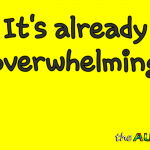 Many people find the support immensely helpful. If you’ve already done this or heard about it, I’d be curious to see what your experience has been.. and if any other readers have as well. (I have no agenda here; just a thought/suggestion!) – I’m replying here because I couldn’t seem to make a new comment. I do understand what you’re saying, and as always, thanks for the response. I’m in no way presuming that what can generally work for one individual would work for Emmett. Even under the best of circumstances, a sensory diet can be a trial and error thing, and I wouldn’t even begin to suggest that there’s some sort of “magic bullet” out there that would solve everything, consistently, all the time. And that’s the tricky thing about implementing a sensory diet – it’s hard work, and you very well may not achieve immediate results, or necessarily be able to link any success or non-success to its implementation. But the idea behind it is that routine,scheduled daily sensory input, provided consistently (at several scheduled points throughout each day) over time, can have a cumulative effect that can lead to better regulation. It’s just very hard to keep it up consistently over time, particularly when you may not be seeing immediate results. I keep harping on the long-term consistent application because your writing suggests you often rely upon an expectation of achieving instant results – “what works today, doesn’t work tomorrow”. 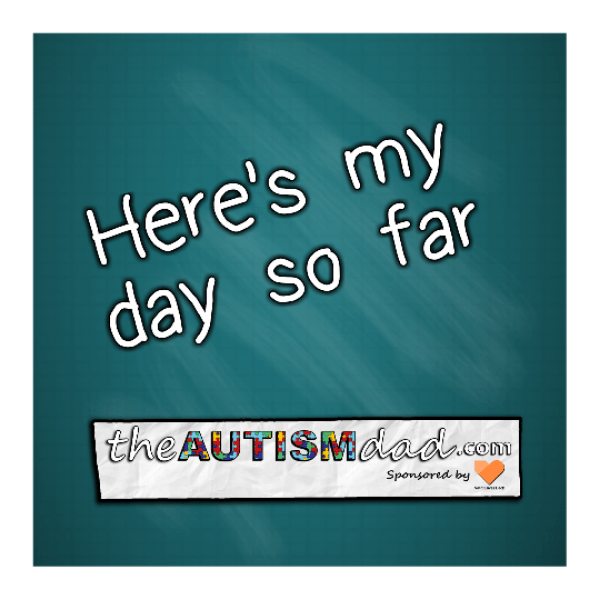 Honestly, that’s not surprising, and actually quite typical, because, as I said above, there are no magic bullets here, and if there was just one thing you knew you could do every day in the moment to alleviate Emmett’s sensory issues, you really wouldn’t be dealing with much of a sensory processing disorder.